I have impressed by Grails Framework, for the past 4 weeks, I’ve spent my time to go deeper to understand this framework. I don’t understand Grails Framework definition and description, but you can open their home page if you find your self in curious about it. What I want to share about Grails Framework here is, my notes when I tried to use this framework. It’s more like a steps for understanding Grails Framework manually. Okay, I’m gonna cut these craps and go straight to the point of this notes. 4. Create the viewer layer. 5. Proof Grails Framework run time changed code. Next task is modifying the content of gsp file by adding more words or html tag, remember we do this without stopping the running Grails Application. After we did the task and saved the changed gsp file, try to refresh the browser by pressing F5. When the content of opened page in the browser changed, I can consider we understood that the grails framework doesn’t need to stop and start the running application while we changed the content. 6. Passing data from controller. 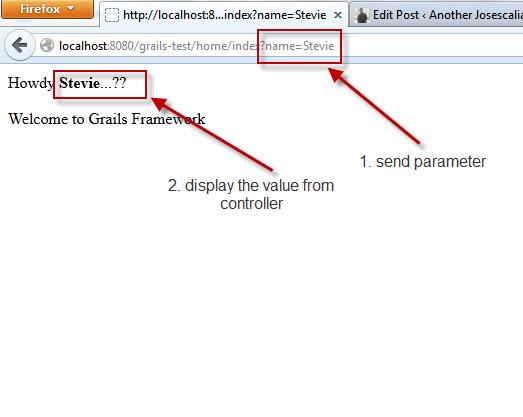 After all the files saved, try to refresh the browser and add the url parameter to the URL address like this http://localhost:8080/grails-test/home/index?name=Stevie, we should see the content changed. And I hope we could understand that url parameter name sent from browser, and then catch by the controller and then the controller send the parameter value to gsp file to display in the browser. 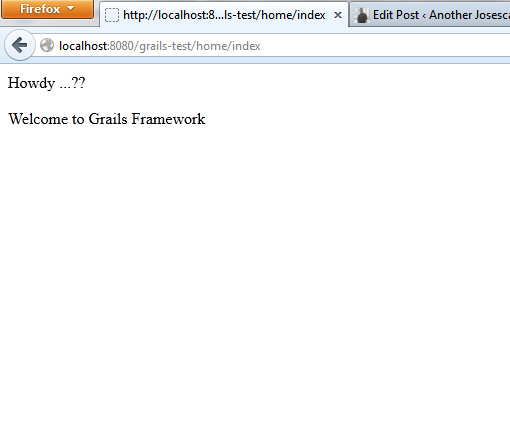 That’s it, that’s my way to understand the Grails Framework at the 1st sight. With Integrated Development Editor such as eclipse or Intellijidea, grails framework will be more easier to understand especially the code syntax. Dear readers, its been a long time for me not update this blog. Please forgive me, if you find there’s no new article every time you back to this blog. Well, a short story about my activity, now I’m work at an IT Consultant company, and now we are doing a government IT project. This project is using Swing framework for it’s interface. Well, I didn’t have much understanding about swing framework, finally have to meet this framework too. Notes : the code that I wrote above is only the main code, others are automatically generated by netbeans. Now let’s understand these codes before we move to the next steps. By finishing this step, actually we finished the coding part, and the next steps are bind the component which in the form that we already created before. Let’s go to the main purpose this article which is Component Binding. For the first bind we will do it in a JTable, right click the JTable component and the click properties. In the properties window, choose binding tab, and then click a small button which located horizontally to the element row, when the bind window appear, choose Binding Source to Form, and the Binding Expression to a userList variable, as shown to below picture. If the userList variable is not show up on the list, it’s because we don’t create a getter and setter method. After that, we can run the form and you can see the data which we created in a UsersData class contained in JTable. If we want to change the JTable looks, we can do it by right click the JTable component and choose Table Content, and then choose Column tab, at that window we can change the header, field size and other JTable settings. Ok now, please bind all the JTextField component which exist on the Form by repeating above steps, and then run the form. And click one of the row on a JTable, the each JTextField should contains the each data according to the row we have clicked on JTable. That’s all for the practice now, this link is a project source code of our practice that you are free to use, develop and try by your self. Have good day, and I hope it useful. Dear readers, at the time I wrote this article, I just have 2 months of being an employee at the IT Consultant Company in Jakarta, Indonesia. But that’s not what I want to share in this article. 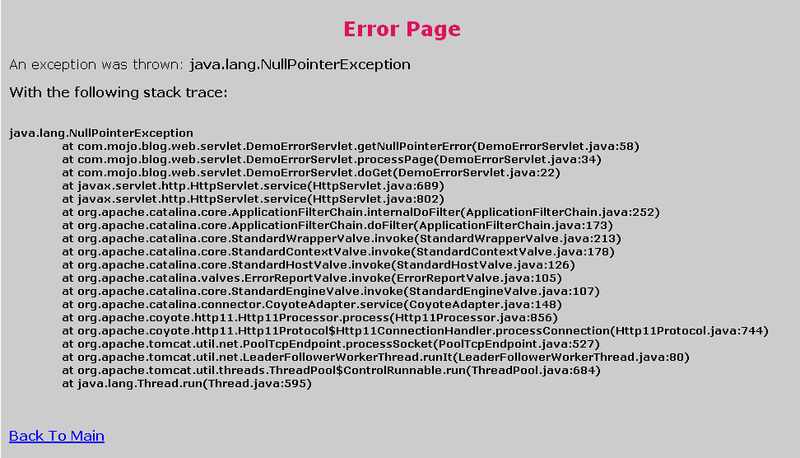 In this company, I was expected to follow the java development stack which is applied in this company. The Spring Framework and Hibernate are include. I’ve been 6 years in Java programming language, but I admit, I never involve Hibernate framework as an ORM(Object Relational Mapping) method on my projects development stack. While Spring Framework, I’ve been using it since 2 years ago. This condition force me to do a little adaptation of this Hibernate Framework. I often met some difficulties which is stress me so much, when the codes of the dao layer using a hibernate criteria. For a few developers who always using hibernate framework, it should be easier to use hibernate criteria, but for me, it really stress me so much. To find a method on a dao layer work or not, sometimes it wouldn’t so effective to test it by deploying whole application just only to test one method. And I decide to use unit-test when testing dao layer methods, so I don’t need to deploy whole application. What we have to pay attention on the class are, the class have an annotation @ContextConfiguration and extends AbstractTestNGSpringContextTests class which is provide as a base class to use it as a test class for TestNG Framework. Also on the annotation @ContextConfiguration defined the location of the Spring Context, so the compiler can find a Spring Context file when the execution is triggered. The next thing which have to note are 2 methods which is defined on the class, those are void init() method and void destroy() method. void init() method, given an annotation @BeforeMethod which have a function as an hibernate context initializations before all other the test method executed. 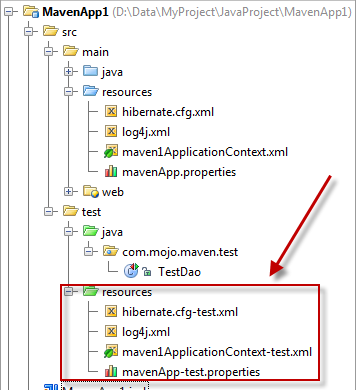 While void destroy() method given an annotation @AfterMethod which have a function to close a hibernate session after all test method executed. Well, that’s all that I can share for this time. If you feel the codes need more improvement, so go head, to make it perfect. One day, I read, that this sentence “the quick brown fox jump over the lazy dog” contains all the character of the alphabet, just because I’m so curious, I thought to create a simple java application that checks whether the sentence is actually using all the letters in the alphabet or not. Remove all spaces between the words from the sentence. Convert the string into Character Arrays. Loop the Character Array and print out to console. * Created by IntelliJ IDEA. //let's loop and print out...is is correct, using all the character of the alphabet ???? Well, that’s all. Feel free to use and explore for your creations and needs. Browsing website on the internet with high speed data access is a separate pleasure for some people including me. To open a site with no waiting time to load the page of a website is always a dream. But sometimes we’re getting bad-mood if we face a situation where the website that we would like to open are taking too long to load, because it have to wait each elements on the website to download to our computer. Images, swift files and any other elements. A web page made up-over elements such as images, text, swift files, and others. When we want to open a web page, elements are downloaded to our computer and placed in the temporary folder of the browser we use. We can enjoy a web page perfectly after all the elements that make up the page is finished to download. We may have a habit to visit the same website every day, especially right now, the social community era, facebook, twitter, myspace, we visit these websites just to make status, commenting a status and other activities. The same images, swift files, will be downloaded every time we visit those websites. This is actually a routine that we can make a strategy about. Proxy is a tool that we can use to create a strategy for this routine. The proxy has the ability to store images taken from a website that we have accessed before, so the browser no longer need to download the same images from its origin. Proxies are smart enough to recognize the latest content from a website that we access, so proxy will download the latest content and storing it into a place commonly called cache. Advertising, sometimes we are very disturbed by the ads that float on a websites that we might not want to see it, and the ads usually created using the large size of images. We also can use a proxy to block ads from a website. In addition, the proxy can also be used to block sites. On a computer network in a company, proxies are necessary nowadays, at least use to save bandwidth and to limit the access to few websites that considered can make the employees forget about work. The computer network administrators usually install a proxy in linux machine, and for those of you who want to install a proxy on the linux machine, please look for it on Google, there’s a lot of articles around proxy and linux machine. This time we will try to install a proxy into Windows. OK, let’s live it. 1. Download squid proxy from this link http://squid.acmeconsulting.it/download/squid-2.6.STABLE23-bin.zip. 7. And then start the Squid Service. 3. And then browse just like we usually do, for the first time the browsing activity will look like usual, because the squid proxy will store the contents of the web onto the cache, and later then the browser will fetch the static content from the squid cache. After finished download the strawberry perl, then please install the strawberry pearl on your own windows machine. I have installed Strawberry Perl on C:\Web\ on my windows machine. Please pay an attention that all setting of adzapper must match to the location of your Perl installation. And the next step is download the adzapper script from this URL: http://adzapper.sourceforge.net/scripts/squid_redirect, open the link on your browser, and after all the text/script is appeared, save the script to the C:\squid\etc\ folder and name it as squid-redirect.pl. Please make an attention that my perl installation located on C:\Web\ folder, please adjust the setting to the path of your own perl installation. And after that, restart the proxy squid by using a window service just like the picture before, or maybe by using the command line by typing squid.exe –k reconfigure. And we have finished the adzapper script installation on squid. Now it’s time to check that the adzapper is working properly or not. Open the browser and then open the web site that you knew it have full of ads. The adzapper will block the ads juts like this picture below, and if it does, then the adzapper is working properly. Actually there are a lot of things that we can do with squid and adzap to fill up our needs about the web-caching problems, please visit the official site of squid on http://squid-cache.org and adzapper http://adzapper.sourceforge.net/ to have a guide to maximize the both function. Dear readers, this time I would like to share about how to create a JSP’s and MySQL web application. This time we will create it using easy way, means that we wouldn’t create this web application by coding java classes that we might needed to support this application. We only create JSP, yes only JSP, and of course few configuration that I hope easy enough too. Before we start, let’s prepare a database and a table that will be one of our material of this creation. Let’s create a database and name it as “test_jsp” and for the table, the structure of the table is looked like this sketch. The above Sql Query is a query to create a database named as test_jsp, and creating a table named as identitas with the following field described above on the image. The please fill up the table with few necessary data, in order to make the table containing data like the picture below. By that, one of our material for this application is created. To do this development, actually we need or we will use a library, this library has an ability to support the creation of a web application only using jsp. The needed library is Jakarta Taglibs library. After finished downloading those libraries, then please extract the both files. And the next step is preparing a web application on an Application Server or Servlet Container, for this exercise we using Tomcat as a Servlet Container. Create a folder on a WebApps folder on tomcat installation directory. Let’s give a name “MySimpleJSP”. This folder will be a folder path on our web application. Inside the folder is MySimpleJSP again, we make two more folders named WEB-INF and libs. Copy mysql-connector-java.5.1.6.jar file (I use the connector 5.1.6 here) from the mysql connector library, and taglibs-dbtags.jar files from libraries Jakarta Tablibs which we downloaded earlier into the libs folder. And also copy the taglibs-dbtags.tld file from Jakarta Taglibs library that we have extracted onto WEB-INF folder. Until here, we have completed preparations for web-applications for our experiment this time. And the next step is to simply make jsp files that we need to be able to access the MySQL database we have made earlier, all jsp files which later we will create will be placed in MySimpleJSP folder or parallel with WEB-INF folder and the libs folder. Let’s create a jsp file. On the second line we make a declaration tag that we shall use in this jsp file. Uri must be in line with taglib-uri which we declared in the web.xml file before. And if this web application run, the web.xml file have a responsibilities to find tags reference with sql prefix on taglibs-dbtags.tld file. Then look at the rows of the following code, we create a block of tag sql:statement. Where in this block we write the block tag sql:query and tag sql:ResultSet, and in the block sql:ResultSet, we extract the data from the database to be displayed to the web page using tag sql:getColumn. If we try to understand the tags, the description may look like this: tag sql:query is a tag to write sql query which will be executed by the application. Then tag sql:ResultSet is a tag where the captured data from the database placed in the form to an array collection. And the last is the tag sql:getColumn is a way to extract the collection array and then sorted based on the basic view of our application web pages. And finally the last in this code is, that we then terminate the connection to our MySQL database. With the appearance of the data into a web page of our JSP application, then we can describe that this exercise is successful done. 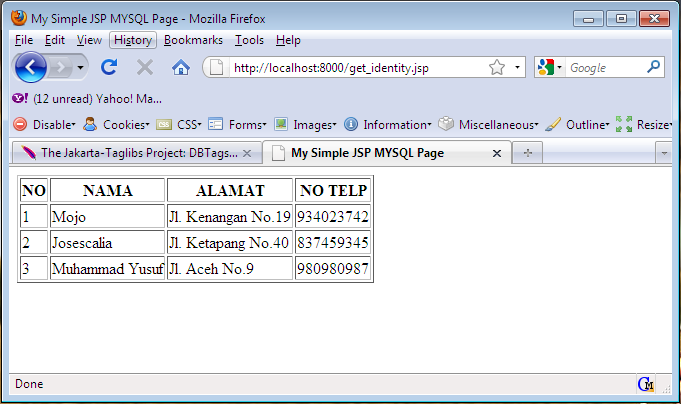 For further step you can create more jsp pages, such as a jsp file to insert the data into the table, etc. 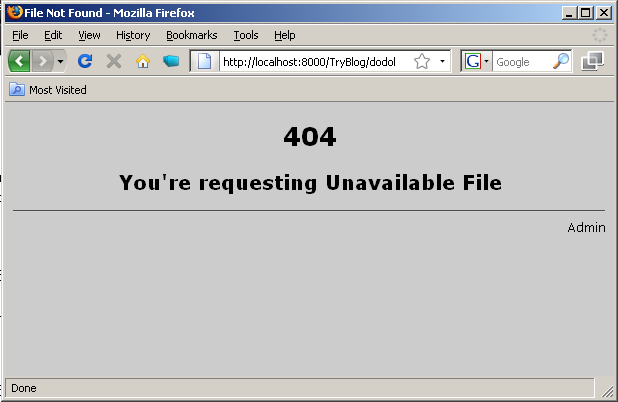 This web page is standard error page produced by Apache Tomcat when our web application have some errors. These error occurred because the logic of our application had a mistake or user do some mistaken when requesting via HTTP browser. We can change these pages into our custom page but have same function just like the page above. The advantages is we can redesign the page just like we desired to. And other function is we could hide some error points, so the user can’t find out what’s the problem behind. Before that, we can divide type of error that probably occurred on our web application. 1st, caused by user fault such as accesing file that’s not exist on the server, and the 2nd caused by error logic on our web application. Let’s try to customize the error page that could be happen like above. On the example source, we can see that the error can be define one by one, such as Null Pointer Exception Error, nor Number Format Exception Error. 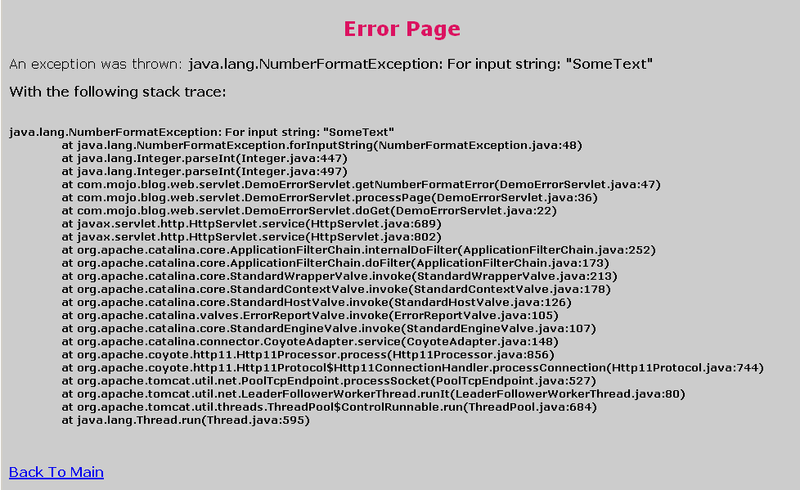 On the sampe source too, we can only create one jsp page to accommodate and informing the stacktrace that occurred caused by our programming mistakesl. And here’s the final result of the 2nd error page caused by our programming mistaken.